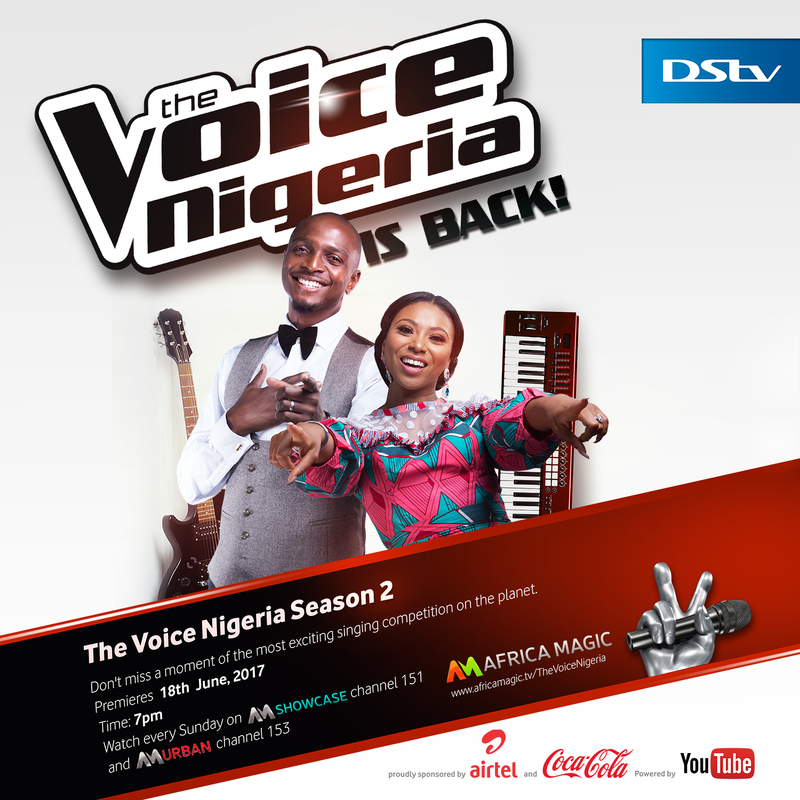 The second edition of the franchised programme, The Voice Nigeria, will begin airing in the country from Sunday, June 18, 2017. The organisers confirmed in a statement that coaches for this season are Yemi Alade, Patoranking, Waje and Timi Dakolo. Yemi Alade is joining the show for the first time to replace 2Face Idibia, who recently joined Glo as its ambassador. The Voice Nigeria is co-sponsored by Glo’s rival in the telecoms industry in Nigeria, Airtel, as well as Coca Cola. Viewers have been urged to catch up with the music competition from 7m next Sunday on Africa Magic Showcase DStv Channel 151 and Africa Magic Urban DStv Channel 153. Organisers have promised viewers lots of fun during the programme, which was won by A’rese Emokpae last year and hosted by IK Osakioduwa and Stephanie Coker.